In the final days before this Saturday’s financial town referendum (FTR) at Tiverton High School, supporters of higher and higher taxes are tossing all sorts of misleading mud in the water. One example is the idea that the town government learned a lesson about using up its reserves some years ago when it had to increase taxes by a large amount (8.1%) because the state eliminated a $1.4 million reimbursement for motor vehicle taxes. That just isn’t what happened then, and it isn’t what’s happening with the 0.9% budget proposal (Budget #2). Going back to the 2002-2003 fiscal year, the town used reserves to offset tax increases every year through 2007-2008. Then it stopped. 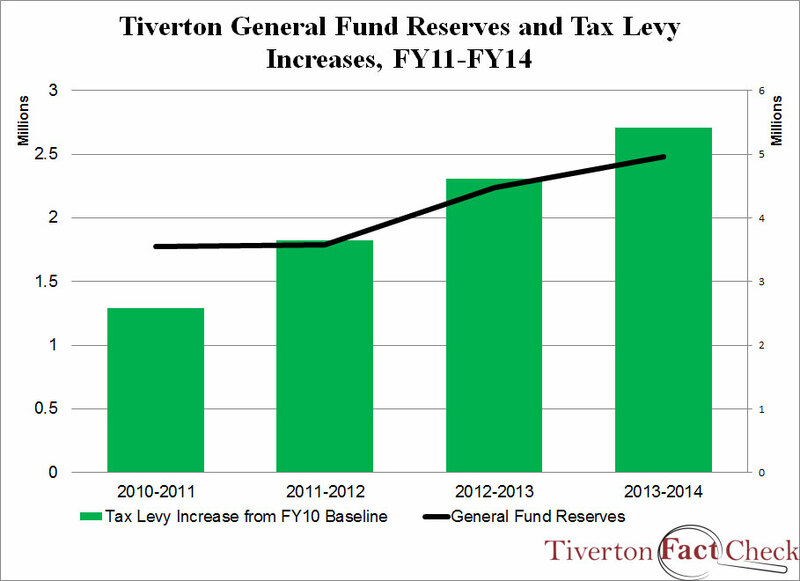 By the time the state withdrew its reimbursement for motor vehicle taxes (the 2010-2011 fiscal year), Tiverton’s reserves were back up to a little less than $2 million. Sitting at the financial town meeting in May 2010, voters would have been looking at reserves of $1.9 million. The total expenses for the upcoming fiscal year were $42.8 million, which means the reserves were 4.4% of projected expenses, even though the town’s home rule charter only requires 3%. That’s not all. That year, the expense budget went up $1.2 million, but the tax levy went up $2.6 million. In other words, the town had extra reserves that it could have used to offset the tax increase, but it didn’t do so. 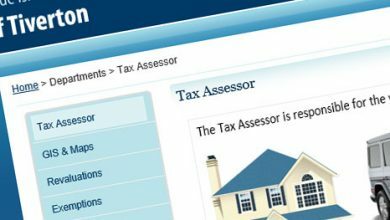 It passed the entire loss of the motor vehicle tax reimbursement on to people who own real estate in the town. Tiverton taxpayers just can’t trust Tiverton 1st and the elected officials the group helped elect. They’ll say they need large reserves to offset taxes when something unexpected happens, and then when something unexpected happens, they’ll use that as an excuse for huge tax increases and keep the money. This inability to trust the town government is the reason it’s up to voters to control their own taxes. The 0.9% elector petition that will allow voters to do that does not empty out the reserves. It doesn’t even bring them down to the 3% required by the charter.